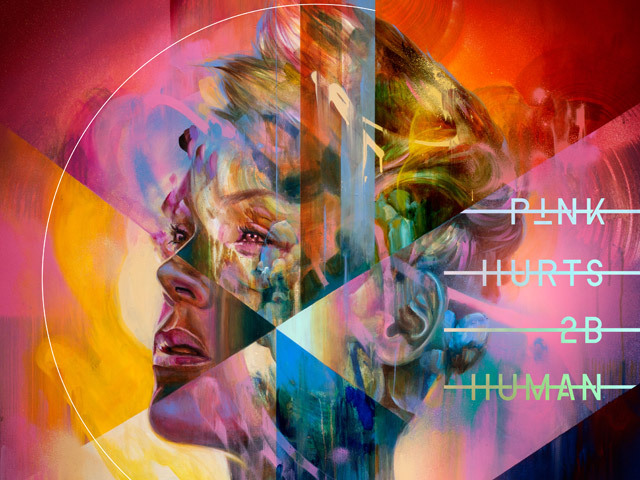 P!NK's eighth studio album Hurts 2B Human is set for release on April 26th via RCA Records through Sony Music Entertainment Australia and is available for pre-order NOW. In celebration, the pop icon releases an additional track from the album, 'Hustle' (click here to listen). The upbeat track was written by P!NK, Imagine Dragons' Dan Reynolds and Jorgen Odegard and produced by Odegard with additional production from Reynolds. The 13 track album sees P!NK reuniting with fellow collaborators Max Martin, Shellback, Julia Michaels, Nate Ruess, Greg Kurstin, Billy Mann and more. This album also welcomes her first time work with Teddy Geiger, Sasha Sloan, Beck and Sia, and has features from Khalid, Chris Stapleton, Cash Cash and Wrabel. The first single, 'Walk Me Home' has over 50 million streams globally and remains in the #1 position on both the national Airplay & iTunes chart in Australia. The music video, which was directed by The Greatest Showman's Michael Gracey and co-directed by Stuart Bowen , has over 6 million views since its release last week. P!NK is currently in the US on her critically acclaimed and highly successful Beautiful Trauma World Tour. The tour has already sold 3 million tickets worldwide and over 1 million tickets in North America alone. For show dates and more details on the tour please visit: https://www.pinkspage.com/.